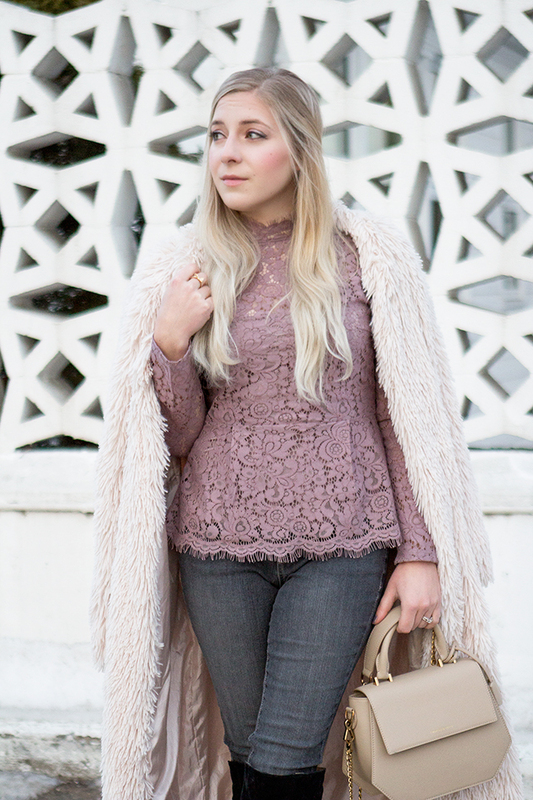 Grey Denim & Lilac Lace // + My Denim Secret! Jeans are a wardrobe staple in every modern girl’s closet, but let’s be honest, most pairs are far from the most comfortable thing you could wear. I’ve always had a habit of changing out of my jeans in favour of stretchy yoga pants as soon as I got home, but recently that’s all changed. I just made a life-changing discovery when it comes to denim, and I knew I had to share my secret with you guys! So what is my big secret?!? When you hear about pull-on pants, you probably start thinking about maternity jeans or kids clothes, and until recently, I would have thought the same thing. But now, I think every girl needs at least one pair of pull-on jeans in in their closet!So why would you choose pull-on pants instead of the traditional button-up style? First and foremost, pull on pants are way more comfortable than traditional jeans since you don’t have to worry about metal buttons and zippers digging into your waist. Add on a stretchy fit that allows you to move around and it literally feels like you are wearing yoga pants instead of denim.Also, have you ever noticed when you are wearing a longer shirt or a pretty tunic over jeans you get that awkward bump from the front button and zipper showing through your top? Pull-on jeans completely fixes this issue giving you a perfectly smooth silhouette. Pull-on jeans certainly have come a long way. I remember when jeggings first became a thing and the styling was less than glamorous with fake pockets and ugly elastic waistbands. But my Nora pull-on jeans from JAG are seriously amazing, so stretchy and soft with a simple and classy denim waistband. They are easily the best pull-on jeans I’ve ever found and without seeing the waistband I doubt anyone would ever guess that I wasn’t wearing the traditional button up style. 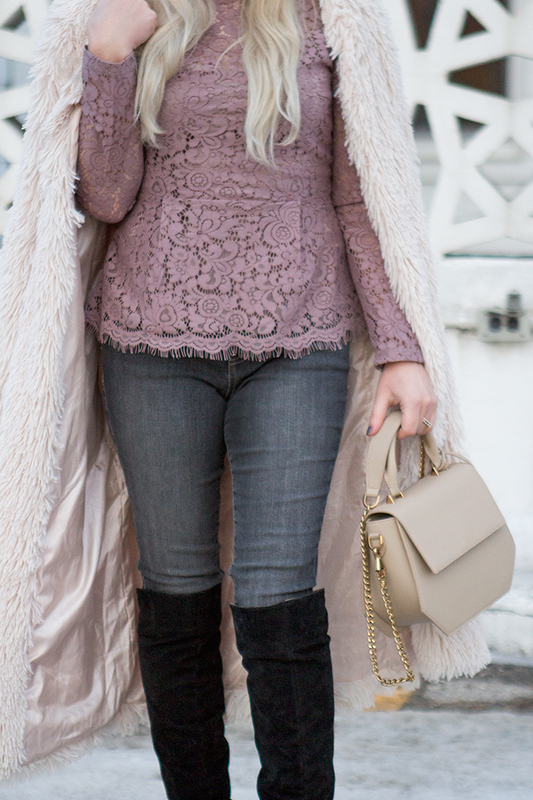 I own this same pair of jeans in classic black & midnight washes but my favourite pair is this gorgeous desaturated grey colour I’m wearing here! So, have I convinced you to give pull-on jeans a chance? Let me know in the comments if you have ever tried pull-on jeans and if they were as life-changing for you as they were for me! Grey jeans: c/o JAG Jeans.